Nothing better than having the right title to sell the puzzle, am I right? I'm always right. Let's face it, the only reason I have to ask the question is because I like to hear myself talk. That's music to my ears. But I digress. Thanks to Tyler Hinman for the title suggestion. My idea was pretty weaksauce, his is better. Lessons learned: when Tyler talks, you listen. Thanks to everybody who has chipped into the Summer drive so far. I'm only going to say this once more, as it's all over on Monday. If you've been enjoying the puzzles lately, consider a $10 tip via PayPal or Venmo (@TheBEQ), or email me. Remember: the site will forever be free, so don't feel like you have to pay. 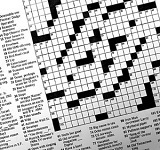 But if you can, I'll send you two additional 21x puzzles as a thanks. Much appreciated. 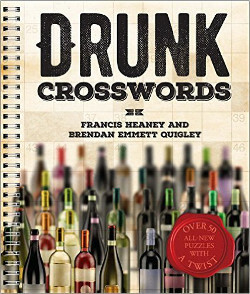 And I keep forgetting, one randomly selected donor will get a copy of "Drunk Crosswords." So what are you waiting for?